1997, Starring Rutger Hauer, Roy Dupuis, Kristin Lehman, Jackie Burroughs, John Dunn-Hill, Joanna Noyes. Directed by Peter Svatek (Kingsborough Greenlight Pictures). Peter Svatek is something of an unsung hero of Canadian B-film, cranking out perfectly competent little genre films for more than a decade with very little critical notice. After his early work on Cinepix's The Mystery of the Million Dollar Hockey Puck, he graduated to straight-to-video fare like Sci-Fighters and Witchboard III, emerging as one of Canada's most dependable directors. 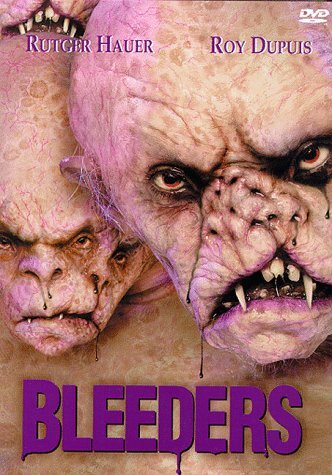 Bleeders, a usually maligned creature feature based on a H.P. 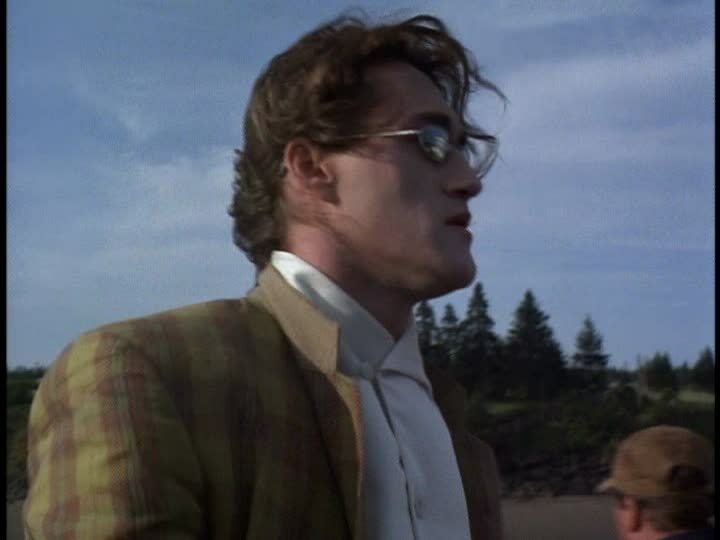 Lovecraft story and scripted by Alien scribe Dan O'Bannon, isn't his best work, but it does have the distinction of being the first horror film ever made in New Brunswick. A lengthy prologue to the film tells us about an incestuous 17th Century family known as the Van Dammes, whose rampant sister-swapping caused significant defects in their bloodline. 300 years later, John Strauss (Roy Dupuis, Rocket), a European cousin of the Van Dammes with a rare form of blood poisoning, arrives on his ancestral island with his wife and nurse (Kristin Lehman) to find out if there is a way to treat the disease. What John doesn't know is that the modern descendents of his family are still on the island, a race of mutated subterranean creatures who feed off of buried corpses. 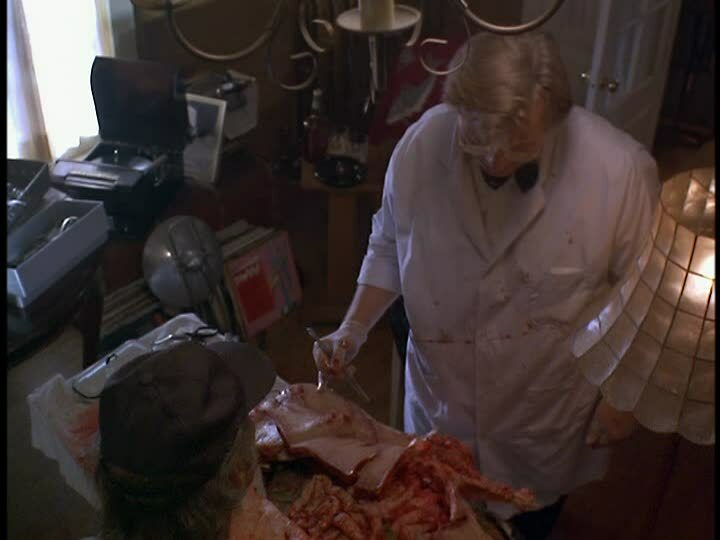 Dr. Marlowe (Rutger Hauer), the town's sawbones, knows the Van Dammes' sordid history too, and after a local girl disappears, he makes it his mission to rid the island of these cannibalistic monsters. Nowhere near as bad as its reputation indicates, this well-shot East coast horror movie teams up American B-film veteran Rutger Hauer with local boy Roy Dupuis for a very late entry into the killer puppet trend that made a big impact a decade earlier with American schlockers like Critters, Troll and Ghoulies. 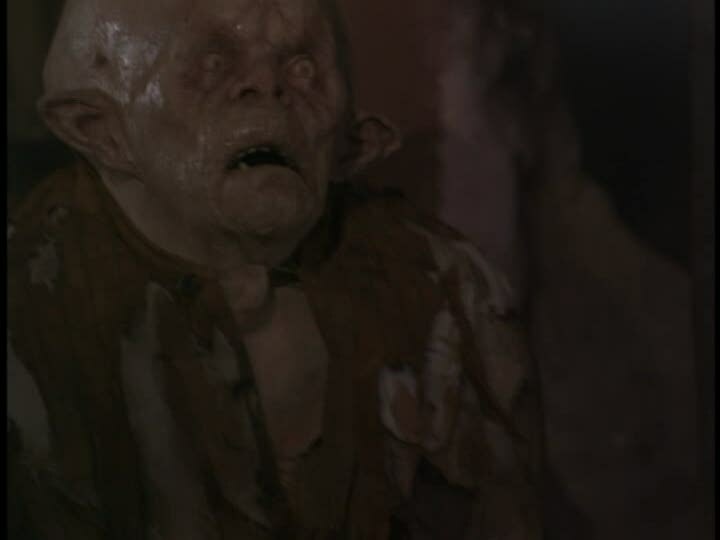 Though maybe too serious to be in the same league as these earlier efforts, Bleeders still has some pretty decently executed shocks of its own as residents are suddenly sucked into underground tunnels, or viciously mauled by the monsters, in brief, tightly edited flashes of violence. The creatures, prominently featured in the cover art, are appropriately grotesque. Designed by Adrien Morot and Andre Laforest, these C.H.U.D. wannabes are lumpy, pink hermaphroditic blobs with multiple stomachs, numerous nostrils and eyes. They are vicious, but not unnecessarily so, only attacking when they themselves appear to be in danger. Around the midway point, Bleeders begins to have trouble maintaining interest as it slowly doles out the puzzle pieces of John's past. 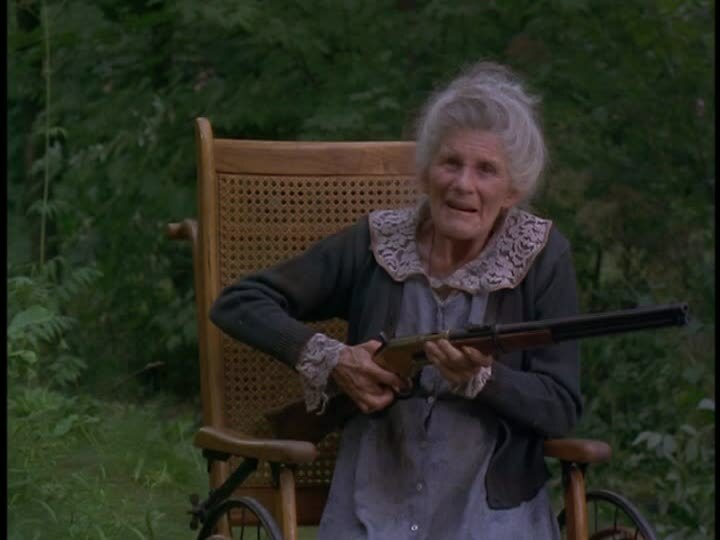 Aside from the requisite awkward flashbacks, he also travels to his ancestral home and meets a shotgun-toting old crone, who is able to provide all the essential exposition needed before she's predictably made into monster chow. 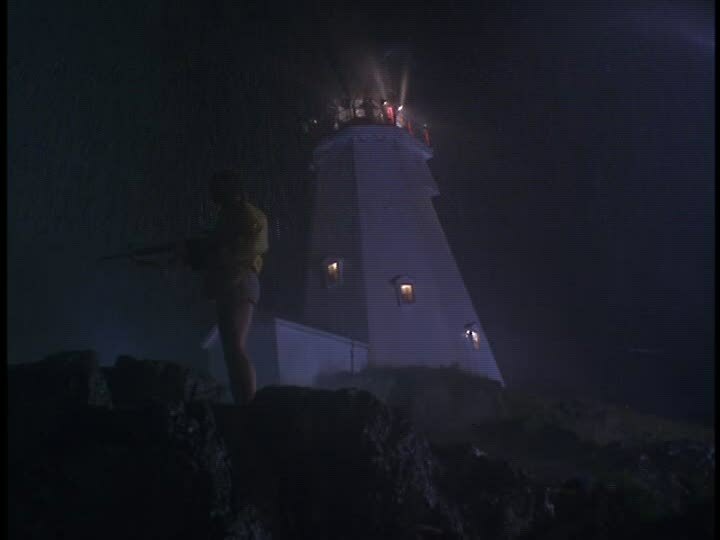 Once Dr. Marlowe makes his way underground with his pistol for the lengthy third act, things get considerably more exciting, as the townsfolk barricade themselves in a lighthouse with every weapon they can lay their hands on for the violent finale. To disguise its country of origin, Bleeders lazily drapes some American flags over the picturesque New Brunswick landscape, but the effect is unconvincing. The film is completely saturated with easily identifiable touchstones of Canadiana, from multicoloured maritime housing and distinct East coast accents to a supporting cast of aging, hard drinkin' girls in plaid fleece jackets straight out of The Rowdyman. Despite pretensions to the contrary, it's easily the most Canadian horror effort since My Bloody Valentine. In the end, though, Bleeders is too talky and blood-shy to really live up to its promise. It isn't an important or even especially notable Canadian horror film, but it is an acceptable Saturday afternoon diversion. While Sci-Fighters may well be Peter Svatek's straight-to-video calling card, Bleeders is just good enough to continue to establish him as one of the country's most consistent genre directors.